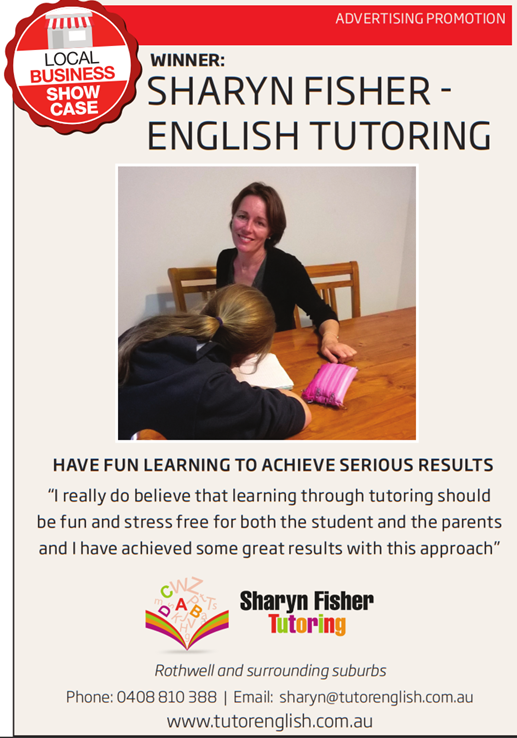 I’m Sharyn and I tutor English to students of all ages. I have a Bachelor of Arts Degree with a Double Major in Journalism and Communications and a Graduate Certificate in TESOL (Teachers of English to Speakers of Other Languages). I am very honest and reliable and my attention to detail is of the highest standard. I love working with kids, teenagers, young adults and mature adults. I really believe that learning should be fun and stress free for students and parents and I have achieved some great results with this approach. I have more than 20 years of English tutoring experience; I currently tutor students in high school and primary school with varying needs. I am very fortunate that most of my work comes from ‘word of mouth’; please READ MY TESTIMONIALS. I travel to the following suburbs: North Lakes, Rothwell, Redcliffe, Kippa-Ring, Scarborough and nearby suburbs. I meet students, who live outside these areas, at the Deception Bay or North Lakes Library. Tutoring in schools can be arranged after liaising with the school. I have tutored many children at their school. I live in Rothwell, on Brisbane’s north side and I have a 15-year-old daughter, Emma. We also have a beautiful dog, Choco, who is a King Charles Cavalier and she is adorable. We all love the outdoors and our inside comforts! I also work for international colleges and I teach ESL students. Personally, I love everything English and this is why I have specialised in this area! I also have a blog, this is all about sleep and this allows me to fulfil my writing passion.